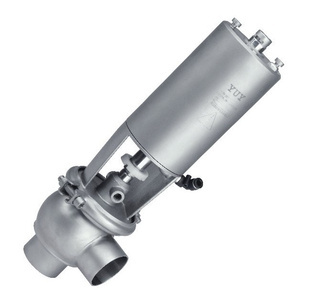 Pneumatic Shut-off and Diverter Valve is a pneumatic actuated hygienic single seat valve. It is operated automatically by a single acting or double acting air actuator, our Pneumatic shut-off and diverter valve is widely used for the application such as food processing industry, beverage production, pharmaceutical and fine chemical industries etc. 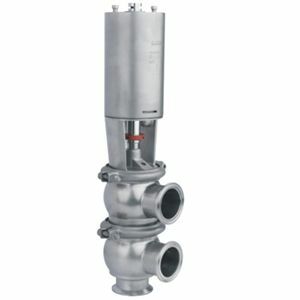 Wellgreen offers full line sanitary valves to reduce your budget and improve your business well etc. Compact and robust design. 3A certified valve. Available sizes: from DN25 to DN100. Normally closed valve(NC) in the standard version. 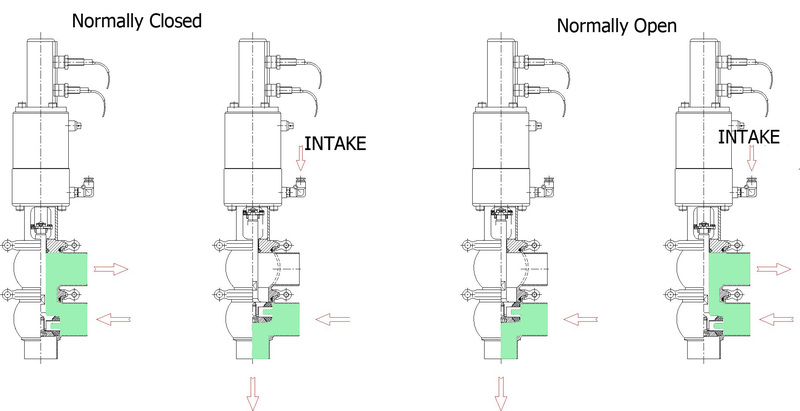 The valve can be changed to normally open (NO) by simply reversing the position of the pneumatic actuator. Hygienic design according to 3A standards. 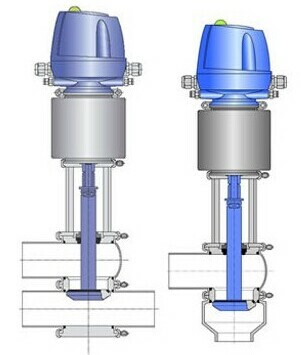 Open lantern allows visual inspection of shaft sealing. Easy assembly/disassembly of internal parts by loosening a clamp fastener. Standard weld connections (mm or inches). Gasket: FPM(Vition)(R) in compliance with FDA 177.2600. Steam barrier (if shaft sterilization is required). 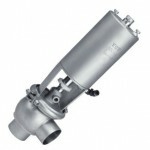 * For more information of pneumatic shut-off and diverter valve , please contact us.